This paper reports on the optical properties, outgassing rate, and cryogenic performance of surface finishing we have adopted for large optical baffles absorbing stray light in KAGRA, an advanced interferometer for detecting gravitational waves. The surface finishing is based on an electroless nickel-phosphorus-tungsten (NiPW) plating, applicable to large surface area up to ~ 800 mm in diameter, and achieves less than 3% total reflectance against a light beam at 1064 nm with a reasonable scattering distribution ~ 0.05/sr. The outgassing rate from the black coating meets our requirements of 3×10−7 Pa · m3 s−1 m−2. The black coating can tolerate low temperature down to 12 K, and can be installed close to cold mirrors indispensable for the future interferometers. K. L. Dooley, T. Akutsu, S. Dwyer, and P. Puppo, “Status of advanced ground-based laser interferometers for gravitational-wave detection,” J. Phys. : Conf. Ser. 610, 012012 (2015). LIGO Scientific Collaboration and Virgo Collaboration, “Observation of gravitational waves from a binary black hole merger,” Phys. Rev. Lett. 116, 061102 (2016). D. J. Ottaway, P. Fritschel, and S. J. Waldman, “Impact of upconverted scattered light on advanced interferometric gravitational wave detectors,” Opt. Express 20, 8329–8336 (2012). B. Canuel, E. Genin, G. Vajente, and J. Marque, “Displacement noise from back scattering and specular reflection of input optics in advanced gravitational wave detectors,” Opt. Express 21, 10546–10562 (2013). R. J. C. Brown, P. J. Brewer, and M. J. T. Milton, “The physical and chemical properties of electroless nickel-phosphorus alloys and low reflectance nickel-phosphorus black surfaces,” J. Mater. Chem. 12, 2749–2754 (2002). S. Kodama, M. Horiuchi, K. Kuroda, and T. Kunii, “Ultra-black nickel-phosphorus alloy optical absorber,” IEEE Trans. Instrum. Meas. 39, 230–232 (1990). C. E. Johnson, “Black electroless nickel surface morphologies with extremely high light absorption capacity,” Metal Finishing 78, 21–24 (1980). E. Theocharous, C. J. Chunnilall, R. Mole, D. Gibbs, N. Fox, N. Shang, G. Howlett, B. Jensen, R. Taylor, J. R. Reveles, O. B. Harris, and N. Ahmed, “The partial space qualification of a vertically aligned carbon nanotube coating on aluminium substrates for eo applications,” Opt. Express 22, 7290–7307 (2014). K. Ikeyama, M. Miyamoto, Y. Ariyama, and F. Yamaguchi, “Study of the blackening electroless Ni-P plating for superior solar absorption,” J. Surf. Finish. Soc. Jpn. 62, 726–727 (2011). Y. Sakakibara, T. Akutsu, D. Chen, A. Khalaidovski, N. Kimura, S. Koike, T. Kume, K. Kuroda, T. Suzuki, C. Tokoku, and K. Yamamoto, “Progress on the cryogenic system for the kagra cryogenic interferometric gravitational wave telescope,” Class. Quantum Grav. 31, 224003 (2014). Y. Sakakibara, N. Kimura, T. Akutsu, T. Suzuki, and K. Kuroda, “Performance test of pipe-shaped radiation shields for cryogenic interferometric gravitational wave detectors,” Class. Quantum Grav. 32, 155011 (2015). J. C. Stover, Optical Scattering: Measurement and Analysis (SPIE Press, 1995), 2. K. Amemiya, D. Fukuda, T. Numata, M. Tanabe, and Y. Ichino, “Comprehensive characterization of broadband ultralow reflectance of a porous nickel-phosphorus black surface by numerical simulation,” Appl. Opt. 51, 6917–6925 (2012). R. Takahashi and Y. Saito, “Vacuum-system design for the large-scale cryogenic gravitational wave telescope,” Vacuum 84, 709–712 (2009). 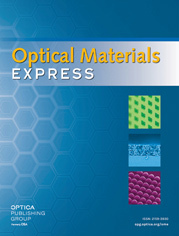 T. Tomaru, Y. Saito, T. Kubo, Y. Sato, M. Tokunari, R. Takahashi, T. Suzuki, Y. Higashi, T. Shintomi, A. Yamamoto, and Y. Naito, “Evaluation of vacuum and optical properties of nickel-phosphorus optical absorber,” Shinku 48, 301–303 (2005). R. Takahashi, Y. Saito, Y. Sato, T. Kubo, T. Tomaru, M. Tokunari, T. Sumiya, K. Takasugi, and Y. Naito, “Application of diamond-like carbon (DLC) coatings for gravitational wave detectors,” Vacuum 73, 145–148 (2004). M. Minato and Y. Ito, “Measurement of outgassing rate by conductance modulation method – outgassing from small plate sample –,” Shinku 37, 113–115 (1994). K. Terada, T. Okano, and Y. Tuzi, “Conductance modulation method for the measurement of the pumping speed and outgassing rate of pumps in ultrahigh vacuum,” J. Vac. Sci. Technol. A 7, 2397–2402 (1989). Fig. 1 Microscopic views of the surface finishing “Solblack” (by Asahi Precision) observed by a scanning electron microscope (SEM). The left is a top view, which shows microstructures consisting of deep valleys that absorb light to make the surface dark. The right is a cross-sectional view, which shows that the microstructures are in the 1-µm layer on the Ni plating. Fig. 2 Optical baffle system of the KAGRA interferometer; four of the five kinds of the baffles are shown. The input light beam is divided into two directions at the beam splitter (BS), and the beams enter both of the 3-km long optical cavities (arms), each of which is composed of two mirrors called the input test mass (ITM) and end test mass (ETM). Gravitational waves cause phase shifts of photons in both of the arms but with opposite signs, and the phase shifts accumulate in the cavities. When the beams come back to the BS and interfere, the phase displacement will cause signal light at the output port. The ITMs and ETMs have 250-mm diameters, and the 3-km vacuum ducts are about 800 mm in diameter. The schematic in the upper right shows angular regions of stray light covered by each baffle. The size of the baffles will be up to 800-mm diameters to cover the vacuum enclosure. The cryo-duct shields and the wide-angle baffles will be cooled down to around 10 K and 70 K, respectively. Fig. 3 Measurements of the total reflectances (incidence angle of 8 degrees) of the black surfaces versus wavelength. Each substrate of the test pieces under the black coatings is made of stainless steel or aluminum with different degrees of smoothness. Note that the wavelength of the laser light for the interferometers is 1064 nm. Fig. 4 Measurements of the light-scattering distribution of the test pieces at 1064 nm. For each measurement, the incident angle of light to a test piece is fixed, and a photodetector rotates around it in the plane of incidence; during each measurement, the photodetector shadows the test piece from the light in a certain angular region, where the measurement is incorrect (shown with a dotted line). Fitted curves for peak and diffuse components as in Table 2 are shown with grey solid and dashed lines, respectively. Fig. 5 Measurements of the light-scattering distribution of the test pieces at 1064 nm. For each measurement, the incident angle of light to a test piece is fixed, and a photodetector rotates around it in the plane of incidence; during each measurement, the photodetector shadows the test piece from the light in a certain angular region, where the measurement is incorrect (shown with a dotted line). Fitted curves for peak and diffuse components as in Table 2 are shown with grey solid and dashed lines, respectively. Fig. 6 Specular reflectance of the black coating on bright-annealed stainless steel (SUS304 BA) for S and P polarized lights at 1064 nm. Though the complex index of refraction used to fit the S-pol. data would be unrealistic, the fitting parameter is tentatively provided here. Fig. 7 Measurements of outgassing rates of the test pieces against elapsed time. Fig. 8 A half-sized payload is suspended in a KAGRA cryostat with dummy baffles. Fig. 9 Measured temperature changes with respect to time during the cooling test in the summer of 2013. In an actual cryostat of KAGRA, a half-sized payload prototype with a dummy mirror made of sapphire is suspended, which is surrounded by two dummy baffles made of aluminum alloy coated with Solblack; one of the baffles has one thermometer, while the other has two.